Jewellery Set: Shop The Trendiest Pieces At Craftsvilla! Jewellery is one of the most important parts of any women’s attire all over the world. Jewellery has been worn by the women ever since ancient times and still makes up for major parts of any kind of womens clothing. 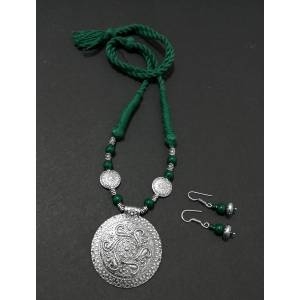 There are a lot of different kinds of jewellery available for women. The jewellery sets are the best pick to buy online when you want your entire ensemble to look perfect. Since these jewellery sets are designed to complement each other, they can be the best way to dress up your outfit for a party or marriage. 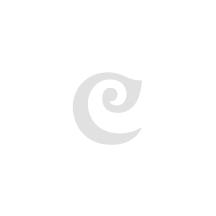 At Craftsvilla you can find the best jewellery sets for all kinds of women in India. With our huge collection of necklaces, ring designs and many more; this will be the best shopping experience of your life. The jewellery has been used by humans ever since the beginning of the civilizations. At first bones and other materials were used as jewellery and with the change in time, metal became the most preferred material to create jewellery. At first, the metal work was not as refined but as the civilizations grew the design making art also grew considerably. Gold has always been one metal that was used to show class and was also the most preferred metal to design jewellery. Apart from this, silver was also used as the preferred metal for making jewellery. 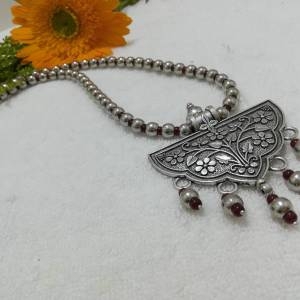 With time there have been many more advancements in the designing techniques of the jewellery, and at Craftsvilla we make sure that all these designs are made by combining the modern and the ancient designs and making designer pieces for our customers. At Craftsvilla all our designed are handcrafted and uniquely designed by keeping the needs of the modern women in mind. The Material: The first thing to decide while picking the right bridal set for you is the material. What do you want the material to be? If you are going for a more traditional look, gold is the right pick to make. However, if you cannot wear gold, then silver or black metal can also be a great jewellery set option for you. The Fit: The necklace fit is one of the biggest things to consider while buying the perfect jewellery set for you. Hence look the dimensions of the necklace you are about to order. This is especially applicable to the choker necklaces. The Combination: Another thing to consider is the combination of the jewellery that comes with the set. So, decide whether you want just the necklace and the earrings or you want it to have other accessories such as the mang tikka or bracelets. 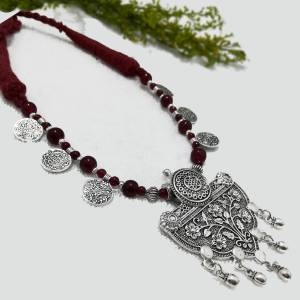 Type Of Necklace: The type of necklace is another factor that you need to consider. This includes choker, layered, statement and many other styles. In addition to this, also make sure you see what kind of necklace type will suit your neck. The choker styled necklaces suit best for people with thinner and longer necks. However more layering looks great on people with wider necks. Work: The work on the sets is another feature that should be considered while buying them. At Craftsvilla we have sets that have kundan jewellery work, meenakari work and much more. There are some really beautiful antiques that you can pick from and also some modernly styled sets. Occasions: The occasion also determines what jewellery sets you should buy. For a marriage of a fancy party, you can go for heavier work and normal occasions; lighter sets would work the best. 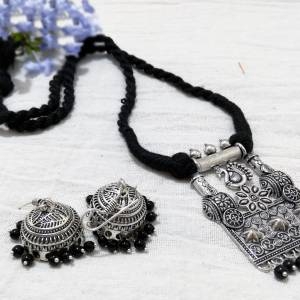 At Craftsvilla you will not only find a huge collection of the Jewellery sets online, but all these jewellery sets are handcrafted to perfection. Here, you will find the jewellery set for wedding and parties that will accentuate your outfit and make you the look like royalty. 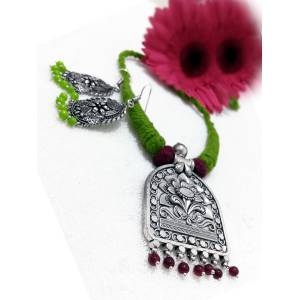 Our collection has the jewellery sets that can be bought as the Dulhan jewellery set. It consists of a necklace, earrings and tikka. All these are designed to complement each other in the best way possible. Additionally, you can also buy the Indian bridal jewellery sets online that only consist of necklace and earrings. 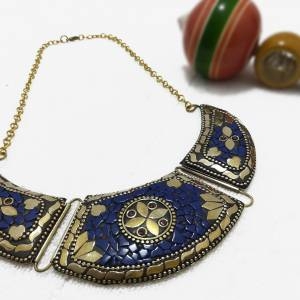 Our collection has all the traditional works such as meenakari, polka, kundan and much more. We also have some really modern jewellery set designs that will compliment any modern Indian woman. From the gold base to silver to copper, we have all kinds of jeweler set materials available for our customers. While designing these pieces, we make sure that they are comfortable for the customers. Hence, every jewellery set is designed to perfection, and it’s the needs of every customer. Artificial jewellery sets online shopping had never been so easy before Craftsvilla. We not only provide you the best gold jewellery set but also bridal jewellery sets the price that you will not be able to find anywhere in the market. Our customers are our first priority and giving them the best quality product at their preferred rates is our duty. We make sure that your experience of jewellery sets online shopping is smooth and hassle-free. You can easily set all your preferences through pour filters and can select the perfect jewelery set for you. For the ease of our customers, we provide a safe shopping experience through the online website as well as the mobile application. Our customer care team is available all the time to help the users with any queries and complaints. With all these services and our customer satisfaction policy, we make sure that shopping with us is the best experience you have.